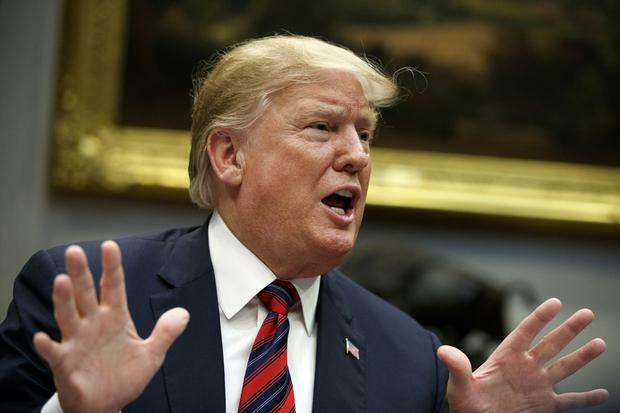 In the wake of the far-right terror attack on two New Zealand mosques, footage has resurfaced of Donald Trump promoting a fake story about a US general who executed 49 Muslim "terrorists" using bullets dipped in pig's blood. The video, which is being widely shared on social media, shows Mr Trump tell supporters during a 2016 presidential campaign rally in South Carolina about the supposed atrocity ordered by US general John Pershing in the early 20th century. "General Pershing, did you ever hear? Rough guy, rough guy. And they had a terrorism problem," Mr Trump said, apparently in reference to a rebellion by the Muslim Moro people during the Philippine-American War. "And there's a whole thing with swine, and animals, and pigs, and you know the story, OK? "They don't like that. And they were having a tremendous problem with terrorism," he said, adding the story was in few history books because "they don't like teaching this". He continued: "He took 50 terrorists, and he took 50 men, and he dipped 50 bullets in pig's blood. "You heard that right? He took 50 bullets and he dipped them in pig's blood, and he had his men load up his rifles, and he lined up the 50 people, and they shot 49 of those people and the 50th person, he said, 'You go back to your people and you tell them what happened'. "And for 25 years there wasn't a problem." But historians who have studied Pershing have said there is nothing to indicate the story is true, and the claims were never verified in the general's memoir. It did not stop Mr Trump alluding to the story again, however, following a 2017 terror attack in Barcelona. "Study what General Pershing of the United States did to terrorists when caught. There was no more Radical Islamic Terror for 35 years!" he tweeted at the time. Last week, 50 people were killed by a gunman who attacked two mosques in Christchurch, citing in a manifesto published online his white supremacist and Islamophobic views.